If you’re a lover of crunchy celery sticks this will come as good news! 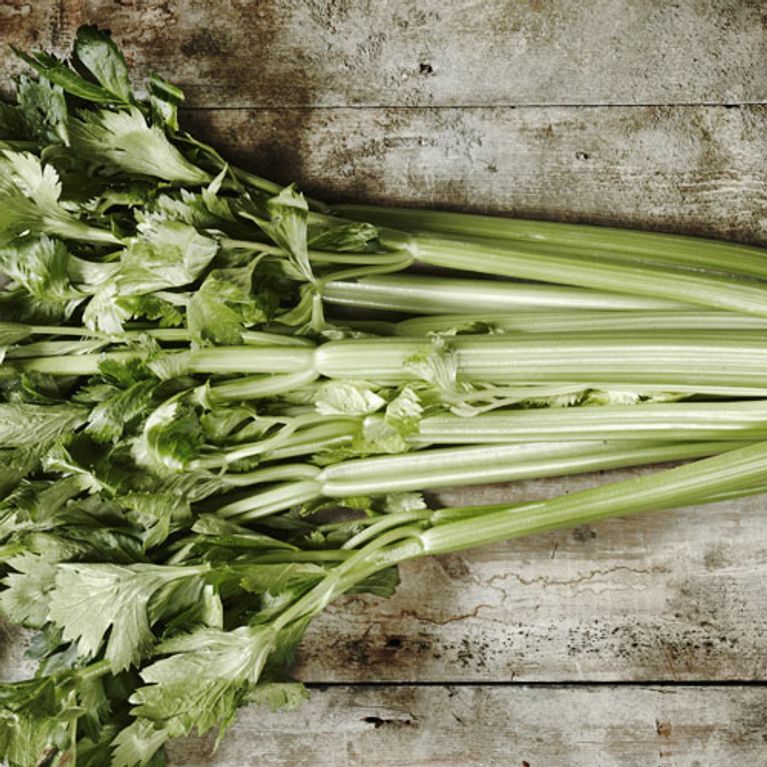 Celery might be just what you need to protect you against cancer. Yep, you heard us. New research has found that this unsung veggie may help to resolve it. Celery is more than just ‘good’ for your diet. In fact, it plays a MAJOR role in supporting our good health. The study from the National Natural Foundation of China and America’s National Cancer Institute found that a compound in the vegetable demonstrated 'anti-tumour activity'. A flavnoid compound (a group of phytochemicals) called apigenin has showed to significantly inhibit cancer cell growth which has shown effective against several types of cancer including pancreas, ovaries, liver, small intestine, stomach, lung and breast. Researchers studied the cancer-fighting compound in vitro to observe its effects on tumour growth over time and the results were positive. But we know what you’re thinking. ‘Surely, other vegetables have these kind of benefits too, right?’ Well, this is true, however celery is a RICH source for this type of compound making it one of our top picks for keeping healthy. A past study in Molecular Cancer saw similar results when testing against pancreatic cancer with the study finding apigenin helping slow down tumour growth. It's safe to say that celery plays a powerful role against cancer but we need to warn you; just because you munch on loads of flavnoid-rich foods (like celery) doesn’t mean it’ll cure cancer, but it does put you in a very healthy position. This research also means that an effective cancer drug might be in the pipeline too! And not only does it help ward off cancer, it's also amazing for our general health too. It's low in calories (ONLY 10 calories a stalk), high in water content and extra rich in fibre! NutriCentre nutritionist, Katy Mason agrees, "Celery is a great source of nutrients. Their leaves are high in vitamin A, whilst the stems are an excellent source of vitamins B1, B2, B6 and C with rich supplies of potassium, folate, calcium, magnesium, iron, phosphorus, sodium and plenty essential amino acids. "They're also particularly rich in Vitamin C, which can help to boost the immune system making it an ideal snack, or juice ingredient during the winter months". So what are you waiting for- do you really need another reason to crunch on celery? Incorporating celery into your diet is super easy. Add it in salads, stir-fries, soups or just smother it in low fat cream cheese or even organic peanut butter as a light and easy snack. Yum. Will you be loading up on celery this year? Tweet us @sofeminineUK! Is Sunshine Your New Fast-Track Ticket To Weight loss?